The world's oldest individual clonal tree looks like a wimp despite standing tall for 9,550 years. 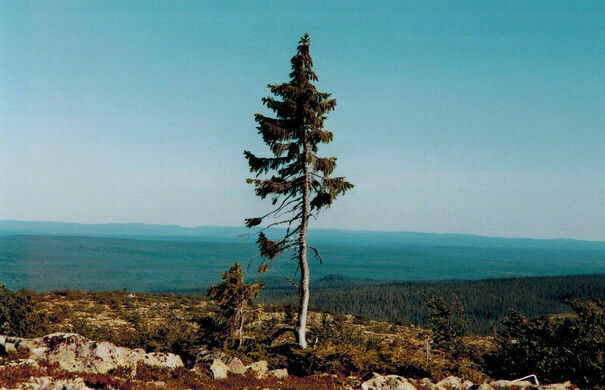 Growing high atop Sweden’s Fulufajallet Mountain is a Norway Spruce that sure doesn’t look like much—but this little tree is an estimated 9,550 years old, and goes by the name of Old Tjikko. 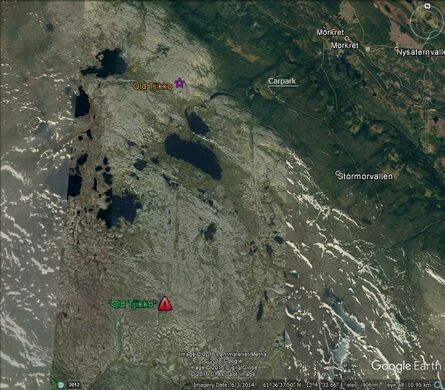 Located in Fulufjallet National Park, Old Tjikko began growing in this harsh tundra shortly after the glaciers receded from Scandinavia at the close of the last ice age. To put that into perspective, this lowly shrub was growing as humans learned to plow fields, domesticate the cat, and—2,000 years after it first took root—our ancestors begin learning to smelt copper. Though the tree may have spent millennia as a shrub before the climate warmed enough for it to grow into the spindly tree we see today, scientists had a hunch Old Tjikko was part of an ancient clonal organism. When setting out to establish the tree’s exact age, they carbon dated the roots system beneath the tree itself, revealing the true age of Old Tjikko. To add even farther to the charm of this scraggly nine thousand year old tree Old Tjikko was named after discoverer Leif Kullman’s dog. Though a small, unmarked path leading through the park to the tree exists, rangers much prefer to lead interested visitors on a free guided tour from the Naturum's entrance to the base of the tree for the sake of environmental preservation that (hopefully) need not be explained here.